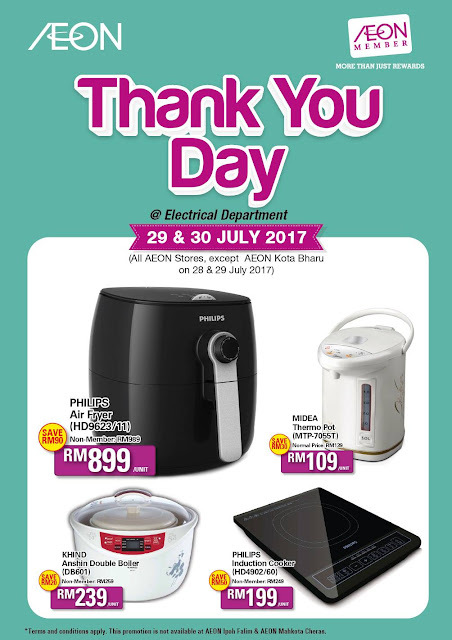 Thank you for your support & loyalty. 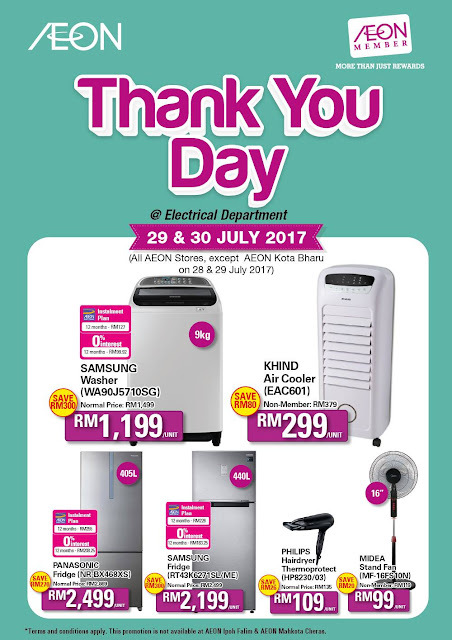 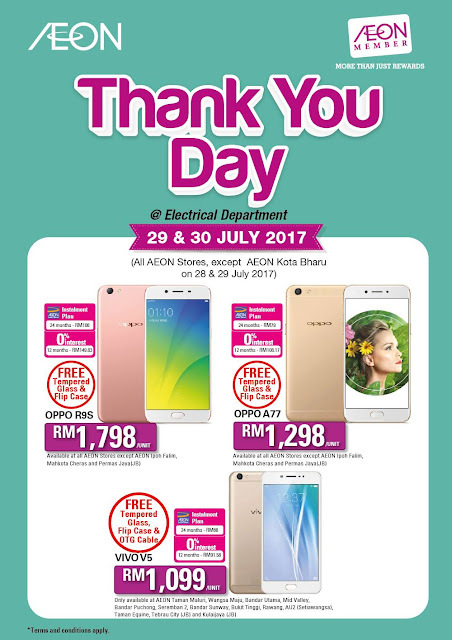 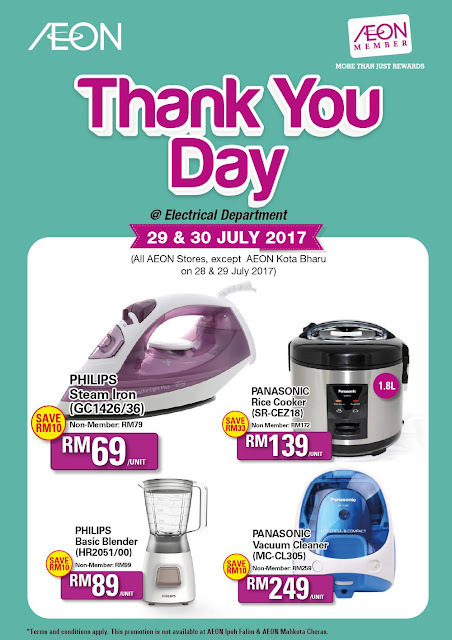 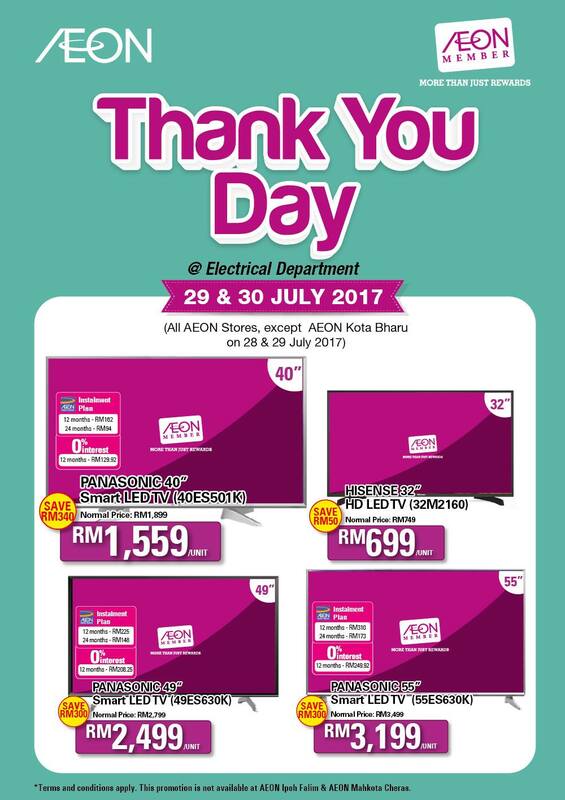 As our warmest appreciation for your support, we bring you THANK YOU DAY on 29 & 30 July '17 @ all AEON Stores (Except AEON Kota Bharu on 28 & 29 July '17). 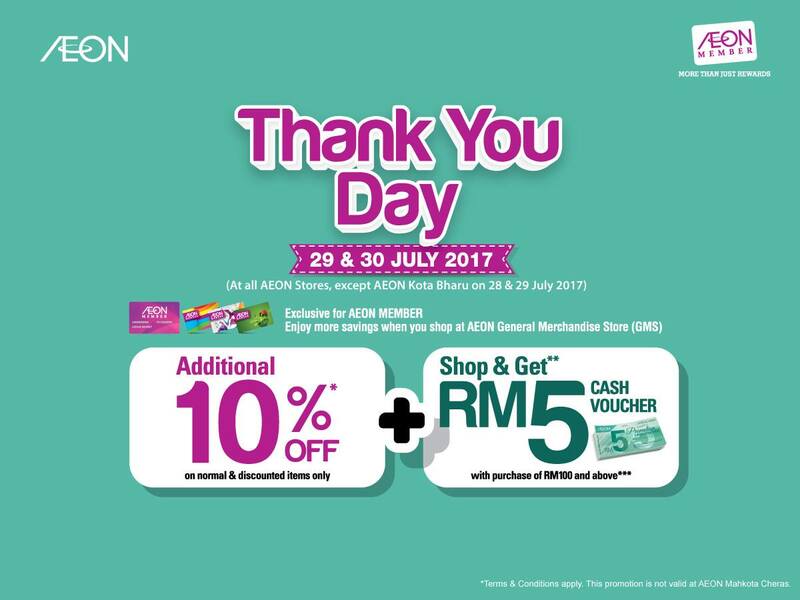 Enjoy savings with twice the rewards especially for AEON MEMBER. 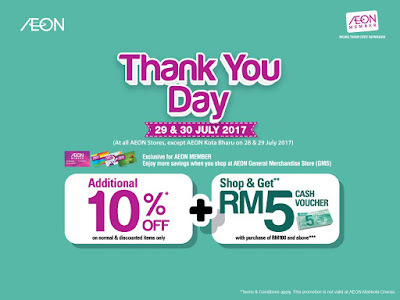 Get additional 10% Off* & FREE* RM5 AEON Voucher when spend @ AEON General Merchandise Store (GMS). 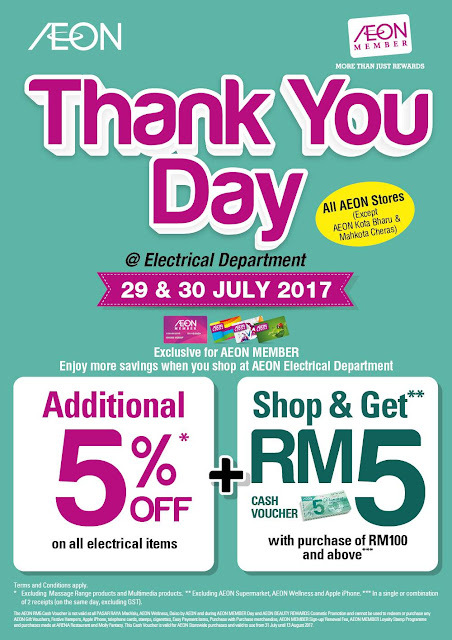 * This promotion not valid at AEON Mahkota Cheras.